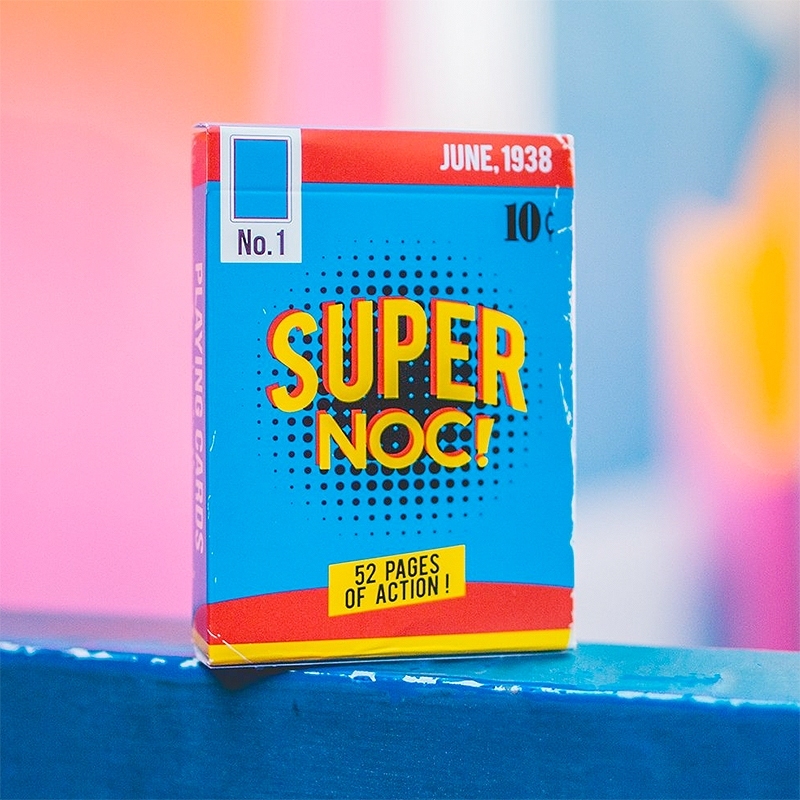 Inspired by Comic Book Culture, the SuperNOC Playing Cards is a NEW series in the NOC brand. This is the 1st Edition version. There will be other versions based off different superheroes with different colors released next year. DON'T WAIT before they sell out! Limited number available and will NOT be reprinted. - Printed to perfection by The United States Playing Cards Company. - Bicycle Premium Stock with Air-Cusion Finish. - These playing cards are MARKED for suit - that's right - you can tell if it's clubs, hearts, spades, or diamonds just by reading the marking system on the back. Here is the explanation - X-RAY Secret Card Included - LEARN THE EFFECT HERE - Blank Card Included. • The cards are poker size.